The resulting bowls, sculptures, and wall hangings preserve the organic beauty of her beach treasures. Suz! 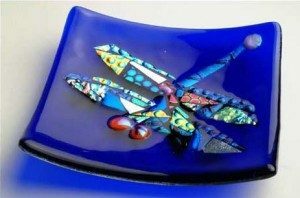 Mole is a fused glass artist from Pawleys Island, South Carolina. She creates sculptural and functional art by kiln-firing glass. Suz! 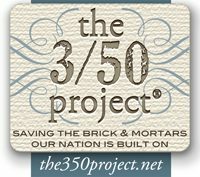 is a founding director of the Glass Art Guild of Utah and since relocating to South Carolina, has begun mentoring and teaching potential fused glass artists in the local area. She is a member of the Seacoast Artist Guild, the Waccamaw Arts and Crafts Guild, and has most recently been accepted into the Charleston Craft Guild Cooperative in Charleston, South Carolina which displays their work in a storefront in the French Quarter of Charleston. In addition, she will be actively involved in the Piccolo Spoleto Festival each spring, an adjunct festival to the internationally acclaimed Spoleto Festival in Charleston, South Carolina. A recent move to Pawleys Island, South Carolina from Park City, Utah has motivated Suz! to create more flowing mixed media/fused glass sculpture. During her daily beach walks, Suz! finds dried ocean coral, shells, sea urchins, and even the elusive (for Pawleys Island) sand dollar! She then incorporates her treasures into her fused glass pieces. The resulting bowls, sculptures, and wall hangings preserve the organic beauty of her beach treasures. She also continues to create one-of-a-kind functional and decorative bowls, ornaments, and wearable art with one of her favorite types of fusible glass – dichroic!